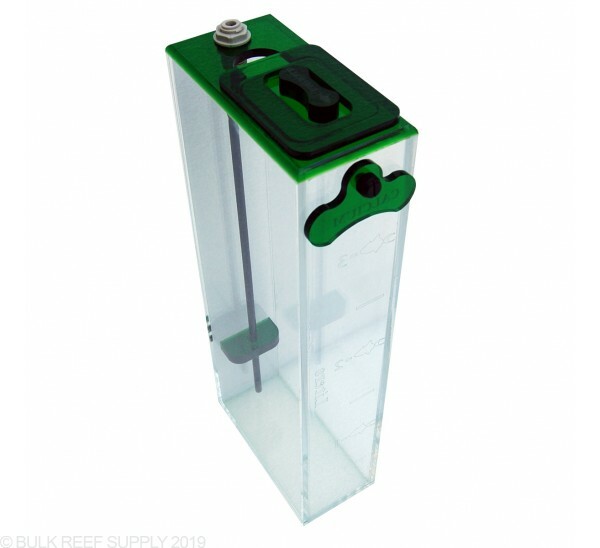 Emerald Dosing Containers made to perfectly match your Emerald Trigger Systems Sump. Store your favorite 2 part solutions in the space saving dosing containers, that come with laser etched Calcium, Alkalinity, and Magnesium acrylic labels. Each reservoir comes with a push connect fitting that you can connect your favorite dosing pump up to. Refilling is super easy with the large, removable lid that helps prevent evaporation and foreign objects from getting into your solutions. 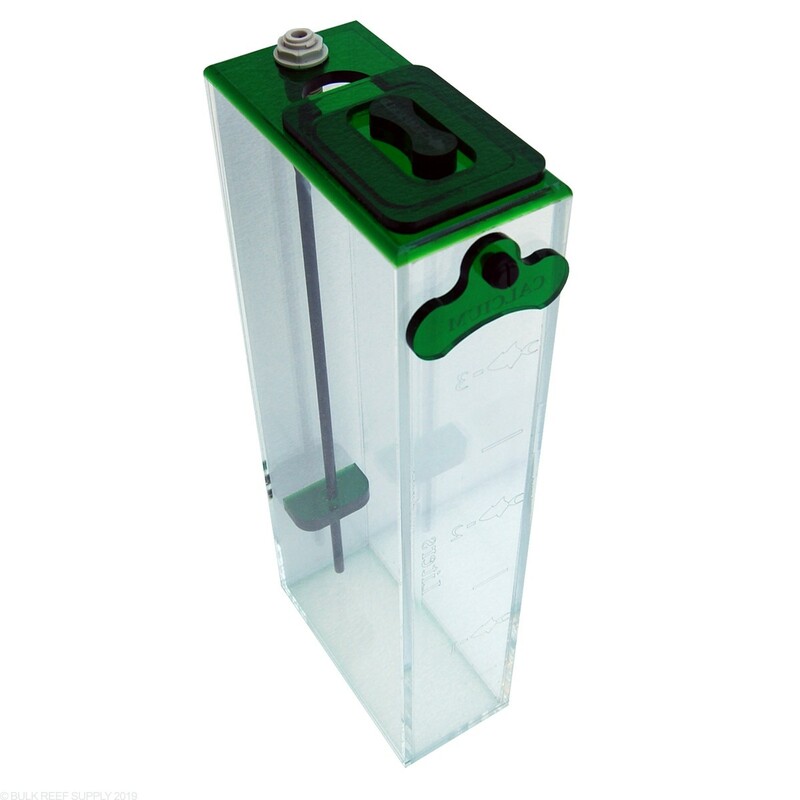 Trigger System dosing containers are made out of 1/4" acrylic with rounded and polished top edges. The care and attention that Trigger puts into their sumps and reservoirs are second to none. The reservoirs can be used for many different types of additives and solutions, and can be pulled by a dosing pump up and out of the container through the included rigid tubing. Each Trigger Systems Dosing Containers come with laser etched acrylic labels (Ca, Alk, and Mg) that can be attached to the front of the reservoirs letting you know exactly what solution is in it. Note: Dosing tubing will need to measure 1/4" outside diameter to work properly with the included push connect fitting. I like this container. it works well. Maybe I am the only one, but I didn't realize hard line to the push connector wasn't properly seated. after pulling the connector and reseating the line to the connector, everything started working just like it should. My only complaint, I really would have preferred if the container held a true gallon of liquid. I mean I get it, metric and all, but these guys are from my home state. We say Y'all and Ma'am and Gallon.